Students can pose with a prop! No money/orders at the time of the picture. Basic packets will be available for students to review in a few weeks. Welcome our new School Resource Officer! Officer James Vires will join us Monday, April 22nd. Congratulations to our Bright Ideas Winners! Go HERE to get info about creating your calendar/messaging account! Nutrislice Meal Program - Breakfast, Lunch, and Grill menus! The Apple Distinguished Program designation is reserved for programs that meet criteria for innovation, leadership, and educational excellence, and demonstrate a clear vision of exemplary learning environments. 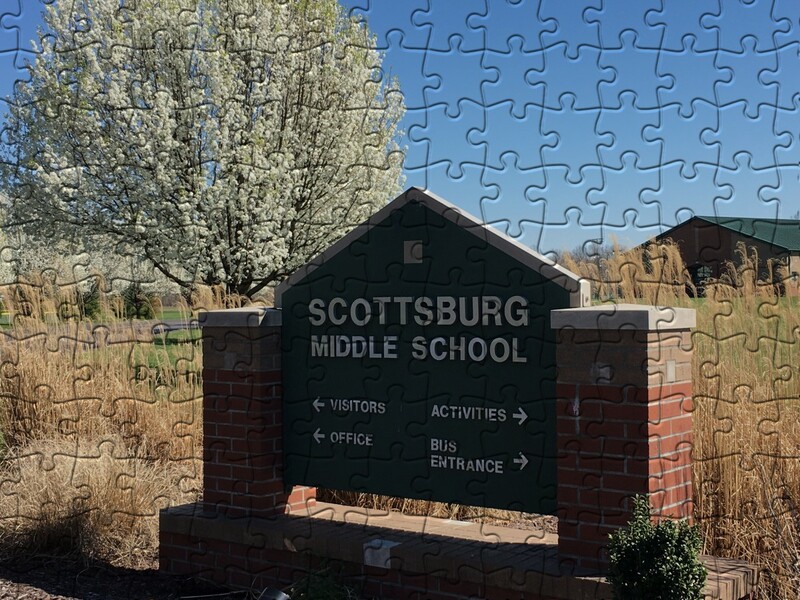 Scottsburg Middle School was invited to seek this high honor. We are very proud of the work of our leadership team, teachers, students, and parents in supporting our innovative program!